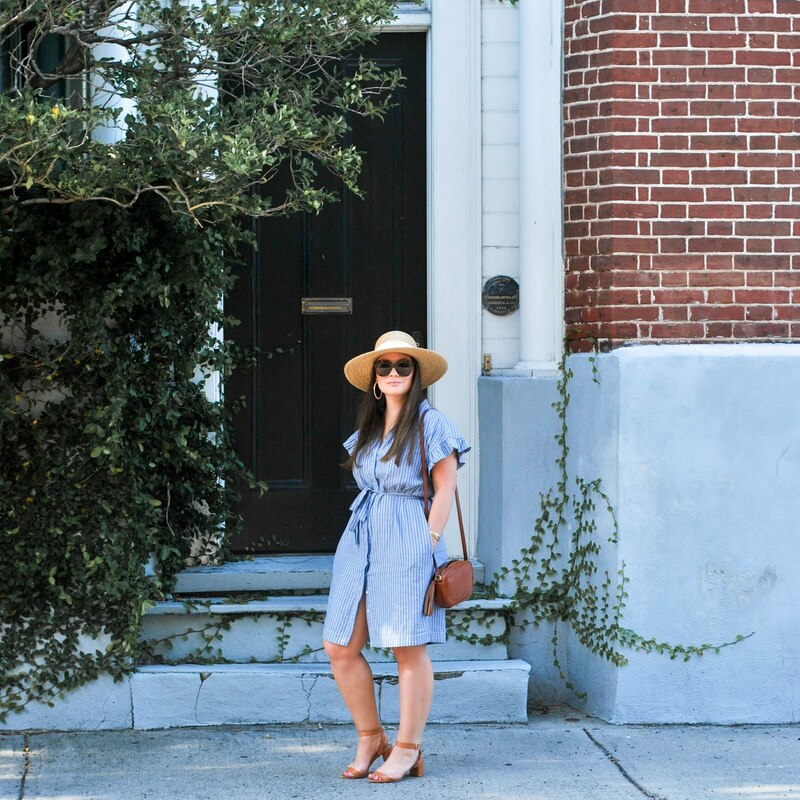 The deets: Line & Dot dress (now 50% off); heels c/o The Mint Julep Boutique; Quay sunnies; Kate Spade mini bag, bracelet, ring, & earrings; Knox Thomas Designs bangle. I feel like these strappy heels completely embody my personality to a tee. They are bright girly colors, floral printed, and to me say "party girl but also a lady." #WINNERS. I got them at one of my new favorite online shops, The Mint Julep Boutique. I also wore these all night at a bachelorette party and didn't have one ounce of pain! We went to an establishment called Blue Moon ON AN ACTUAL BLUE MOON and didn't even plan it that way - how magically serendipitous, right? Anyway, I have great news. YOU can win a $25 credit and get in on this Mint Julep Boutique cuteness by entering below! Believe me there are so many pretty things there and they are all super affordable (my favorite combo) like these cute scalloped shorts or this classy little black number. I have more adorableness from the shop coming up next week!